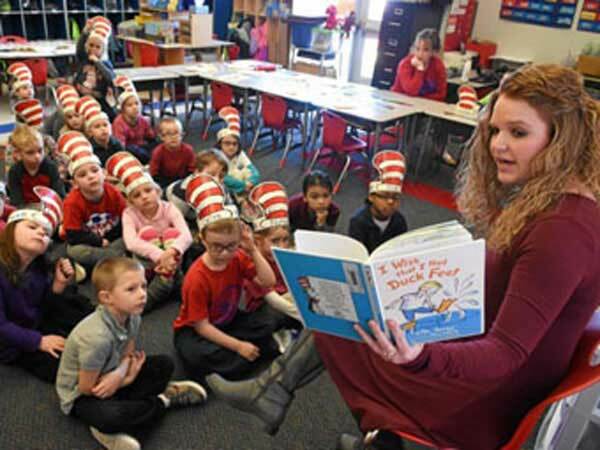 Teacher reads Dr Seuss book to children. Read Across America Day for the year 2018 is celebrated/ observed on Friday, March 2. Friday, March 2nd is the 60 day of the 2018 calendar year with -1 year, -1 month, -17 days until Read Across America Day 2018. When is Read Across America Day 2021? When is Read Across America Day 2022?